WHY IS WEIGHT REGAINED AFTER GASTRIC BYPASS? Gastric bypass is one of the most frequently performed operations in the world. It is known for its efficacy in terms of weight loss.However, after some years, the remaining stomach pouch can expand. This expansion, which increases the stomach volume, limits the effect of satiety. The quantity of food absorbed increases, and usually leads to weight regain. To avoid this expansion, a calibration ring, such as the MIDCAL ™, may be placed around the stomach. 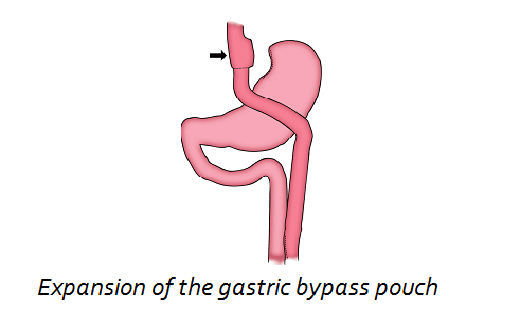 The stomach pouch remaining after gastric bypass is thus calibrated by the ring, and the risks of expansion are greatly reduced. Protecting the gastric reservoir in this way makes it possible to maintain the effect of satiety, and to limit the absorption of an excessive amount of food. 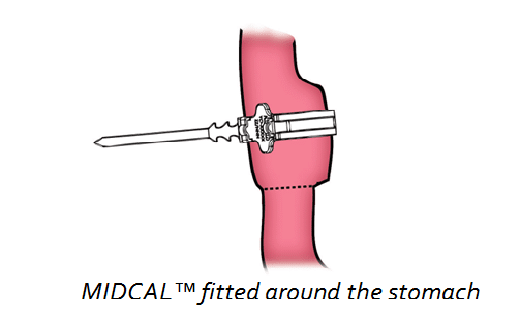 Placement of a calibration ring like MIDCAL ™ must be done by a qualified surgeon with experience in weight loss surgery. 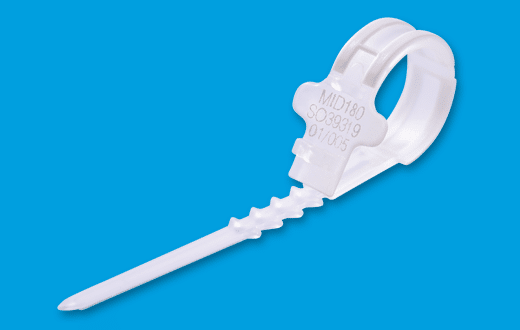 Ask your surgeon if placement of a MIDCAL™ may be a good indication for you. The bypass calibration technique is a widely used technique that has been the subject of many publications, including publications showing efficacy in terms of weight loss. Surgical management of obesity is subject to indications. These may vary according to the country, and are regularly updated. Check with your specialised obesity centre that these indications give you access to this type of surgery. 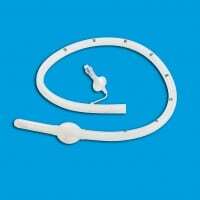 The MIDCAL ™ is a non-adjustable gastric ring designed for gastric bypass calibration. It is made of medical-grade silicone, for long-term implantation. 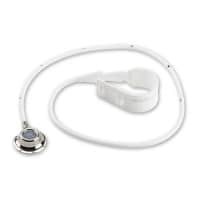 It is visible by X-ray by means of these radiopaque strips, and has three locking positions to adjust to the size of the gastric pouch (circumference of 65, 70, 75 and 80 mm).What is the difference with an adjustable gastric ring? 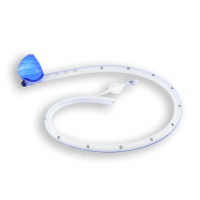 The MIDCAL ™ is a non-adjustable ring that does not have an inflatable balloon. Once the MIDCAL™ is placed around the stomach, there is no adjustment (inflation/deflation) to be done. It therefore works in a different way. The indication must be established in accordance with current recommendations for the surgical management of obesity. These may vary slightly according to the country, and are regularly updated. In principle, only adult patients with a BMI > 40 (or > 35 if there are significant comorbidities likely to be improved by the surgery), who have received appropriate medical care, may undergo this type of procedure, following multidisciplinary assessment and discussion.In addition to the usual contraindications to bariatric surgery, according to current recommendations, it should be remembered that the calibration ring must not be placed in certain situations. As with any surgical procedure, postoperative complications may occur, such as gastric erosion or intragastric migration, slippage of the ring, obstructive stenosis, food intolerance, infections, etc. It is important to seek advice at a specialized obesity centre, so that the practitioner informs you about the benefits and risks associated with this type of procedure.